I was recently contacted by Sharing Small to see if I was interested in checking out their children’s sock subscription. While I don’t have any children, this subscription service is super adorable and even donates a pair of socks to children in need for every pair purchased, so I happily agreed to check it out. 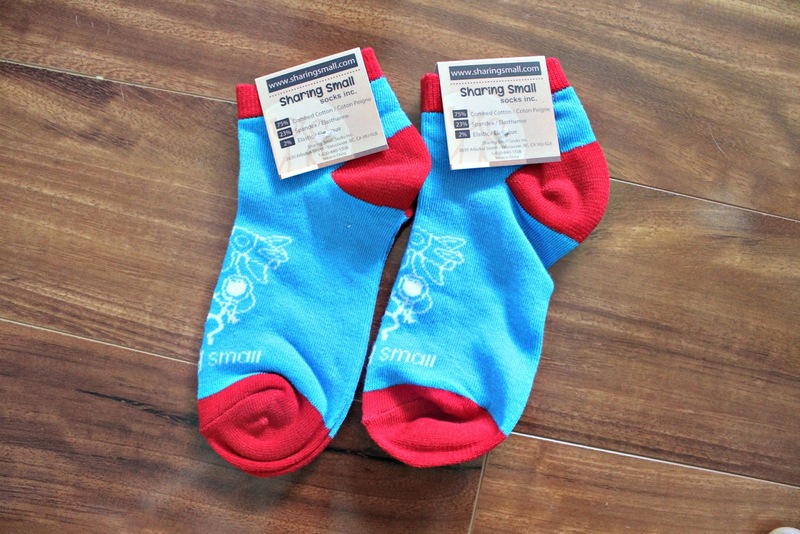 Box: Sharing Small is a sock of the month type of subscription package. Contents: 2 pairs of children’s socks & a sticker in each package. 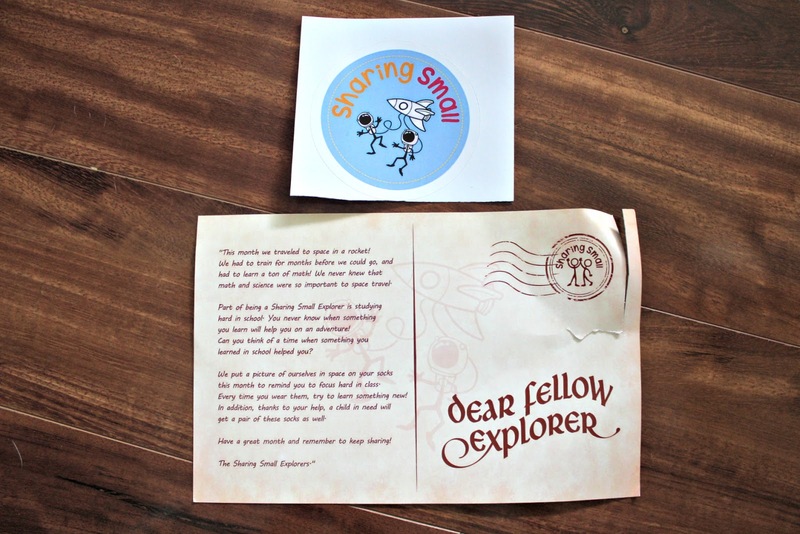 Each package contains a letter/story of adventure addressed directly to the child (not shown here as I didn’t get one), and a sticker. I think a lot of children would love to have a personalized letter each month; great idea! I got two pairs of socks in size large, which is for ages 9-12. You can pick sizes for kids ages 2-12 though, so you do have options. The socks say ‘Sharing Small’ on them and display characters from the type of adventure theme featured that month. Final Thoughts: Sharing Small seems like a great gift that children can look forward too every month. Not only is this subscription practical, but it’s also fun for the child. The fact that they will get a personalized letter each month is something especially fun for the younger ones, and I really love how for each pair purchased, a child in need will get a pair also. It’s also pretty inexpensive! What do you think of Sharing Small? 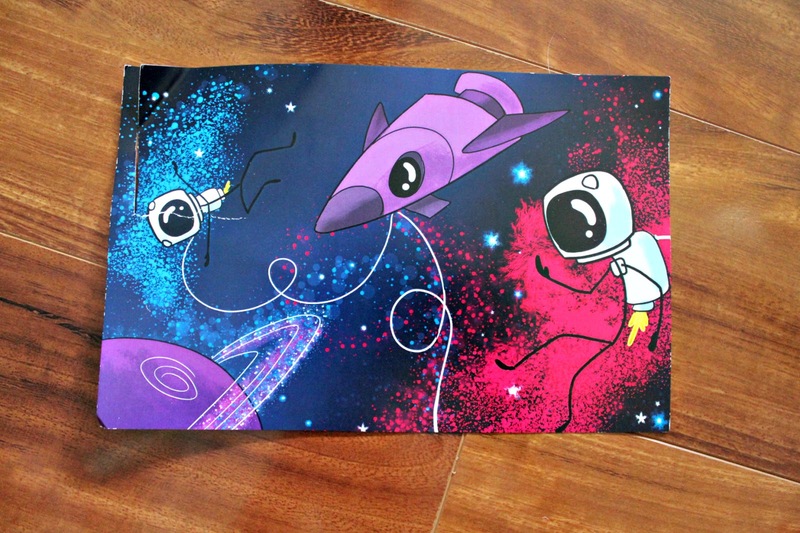 Sign up for Sharing Small Here!